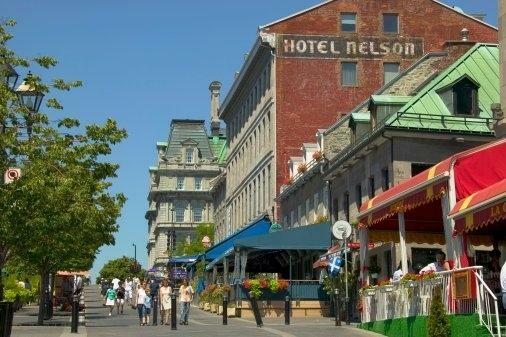 Discover the fall colours in New England, Montreal and Quebec on this 12-day seasonal tour featuring acclaimed rail travel, grand hotel stays and brilliant autumn scenery. 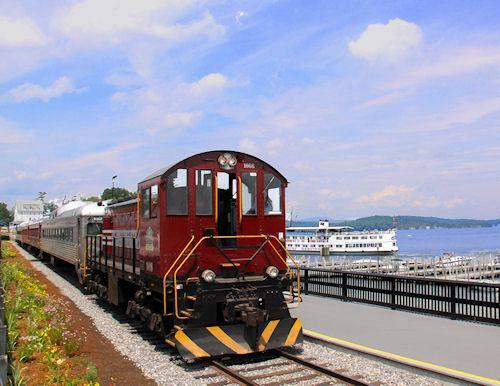 Soak up the history of Boston, before travelling into New Hampshire for excursions aboard the Winnipesaukee Scenic Railroad, Mt. 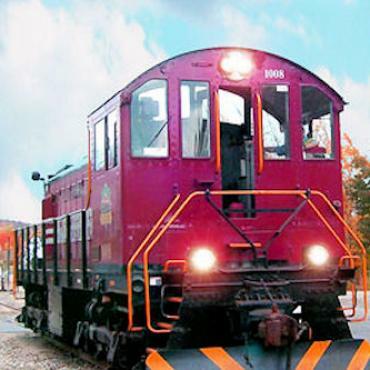 Washington Cog Railway and Conway Scenic Railroad. 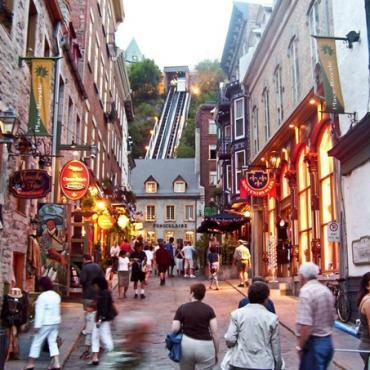 Travel through Vermont to Montreal for a two night stay. Continue by VIA Rail train to Quebec City, comparing and contrasting Canada's fall colours with those in the USA. 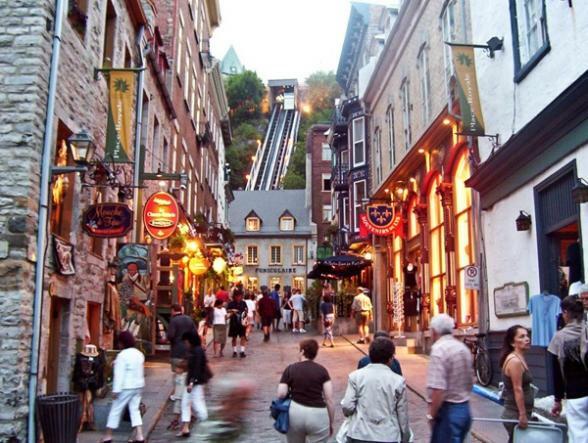 Spend two nights within the Old City walls of Quebec, before crossing the US-Canada border in to Maine. 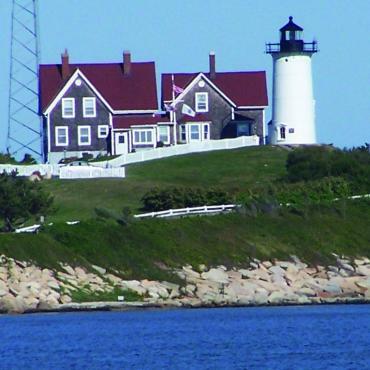 Experience Acadia National Park, Portland and Cape Ann before concluding your trip historic Salem, home of the famous witch trials. 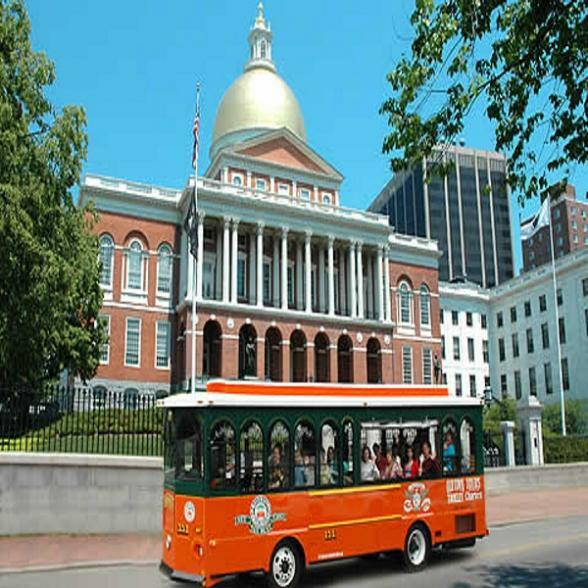 Arrive into Boston early afternoon and enjoy a day and half of sightseeing on your own before meeting your fellow travellers for a meal and a holiday briefing at 6pm on day 2. Bon Voyage would be pleased to suggest and pre-book excursions in this historic city for you. 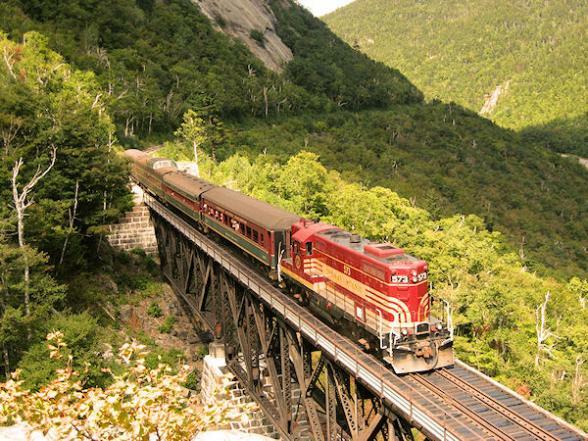 Day 3 : Bretton Woods, New Hampshire - Winnipesaukee Scenic Railroad. After a hearty breakfast board the deluxe motorcoach as we head into New Hampshire and beautiful Lake Winnipesaukee. 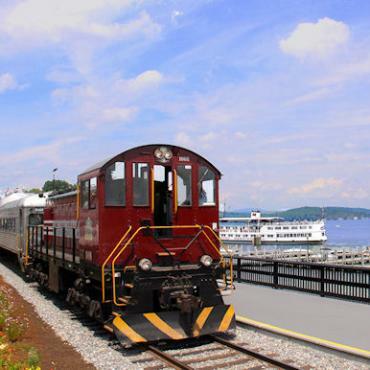 In the pretty town of Meredith we jump onboard the Winnipesaukee Scenic Railroad for a leisurely train journey along the shores of this crystal clear lake. Sit back, relax and enjoy the spectacular fall display on the three mountain ranges that surround the Lake Winnipesaukee. Next, you travel along one of New England's most scenic drives - The Kancamagus Highway - on route to your stay at the deluxe Omni Mount Washington Resort Hotel. 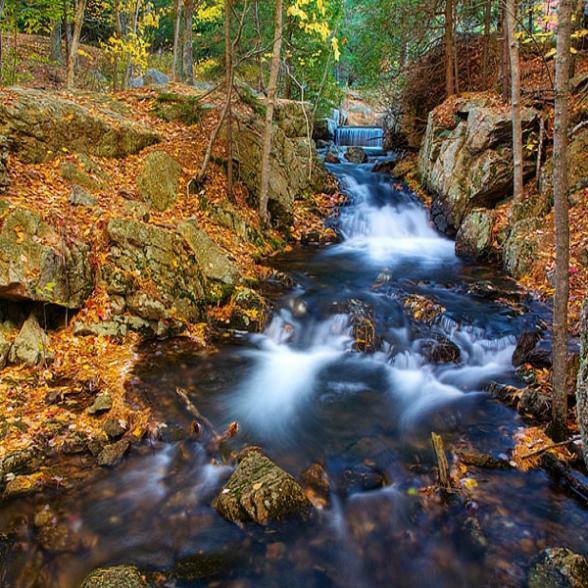 The majestic White Mountains of New Hampshire are your stunning backdrop for your two night stay in this region. 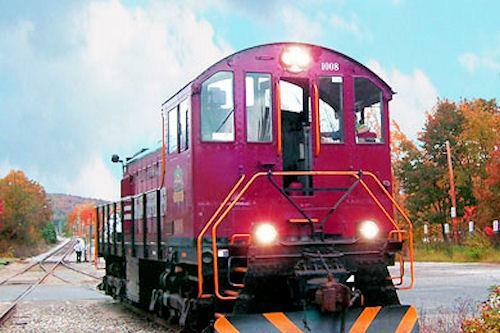 You'll head into the very heart of the New England foliage today with a great train adventure. 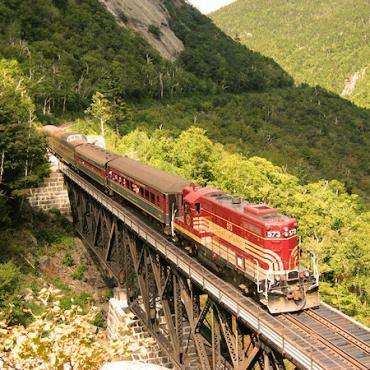 Start the day with a journey up North America's steepest train tracks to the summit of Mount Washington, at 6,223 ft, it is the highest peak in the northeast. Take in the spectacular panoramic view, spanning the mountains and valleys of New Hampshire, Maine and Vermont, north into Canada, and east to the Atlantic Ocean. Leave the mountains of New Hampshire behind today as you journey into the verdant rolling hills of pretty Vermont. Sightseeing today includes the Ben & Jerry's Ice Cream Factory and the Morse Farm Maple Sugarworks where you'll enjoy tours and tasting sessions! 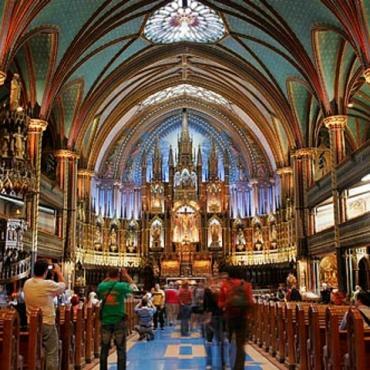 Cross the USA/Canada border early evening and check into our hotel in vibrant Montreal. 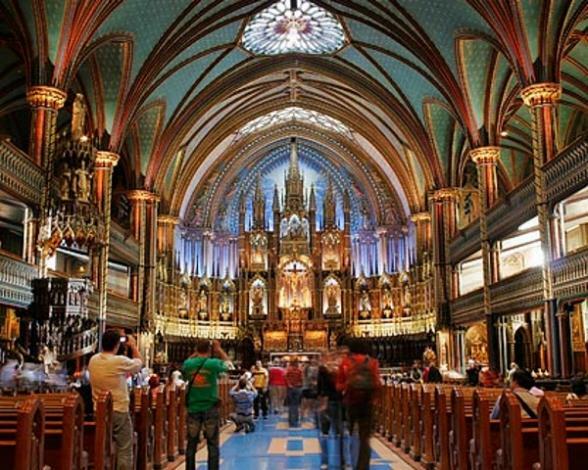 This morning you'll enjoy an fascinating city tour where you'll explore Notre Dame Basilica, historic Old Montreal and Mont Royal. 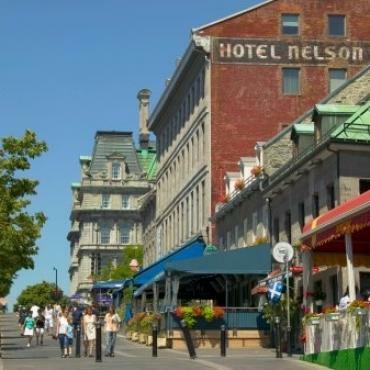 The remainder of the day is free for you to discover the delights of this Canadian city. Stroll the city's colourful neighbourhoods, shop in the eclectic boutiques or simply dine alfresco and watch the world go by. 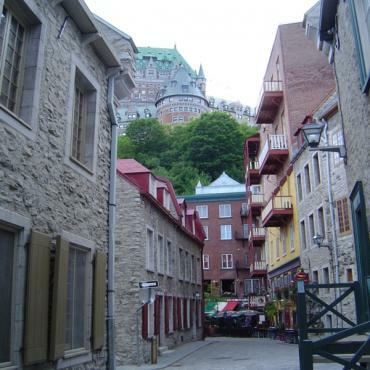 After breakfast, it's time to board the VIA Rail train for a 7.45am departure through the flaming fall foilage to Quebec City, North America's only fortified city. 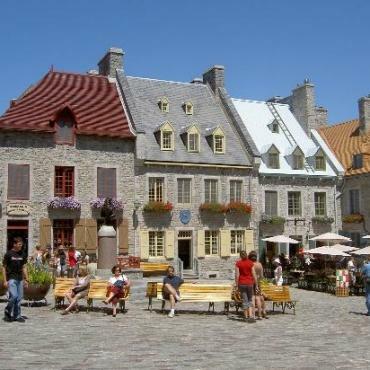 We'll arrive in time for lunch in the historic Old City followed by a sightseeing tour which includes the lively Latin Quarter, the Plain of Abraham, the Fortifications and the magnificent Place Royale. 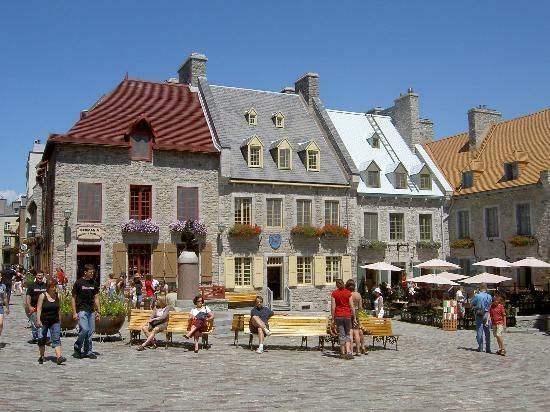 Quebec is a romantic city full of cobbled streets and sprinkled with historic buildings. Today is free time to explore this picturesque city on your own. Dating back to 1608 there is so much to see in a city that preserves its past so well. Tonight we have a treat in store as you'll dine at the Manoir Parc de la Chute-Montmorency, where you'll enjoy stunning views of the great Montmorency Falls and the Ile d'Orleans. Enjoy a large Canadian breakfast before departing on your deluxe motorcoach to travel through the flaming fall colours of eastern Canada and into the New England state of Maine. 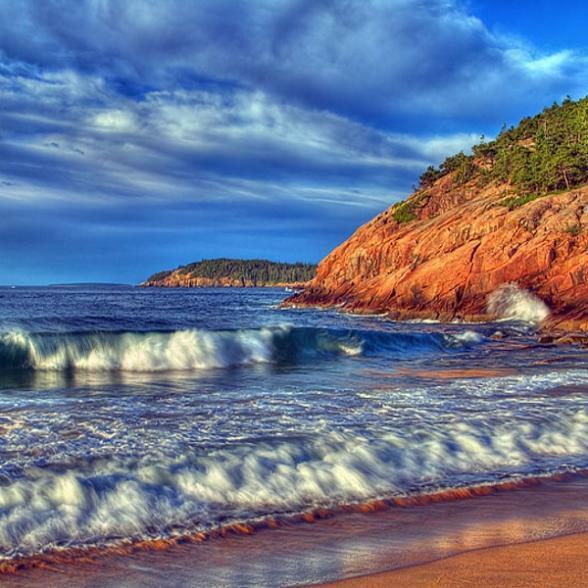 The pretty seaside resort of Bar Harbor will be your home for the next two nights. 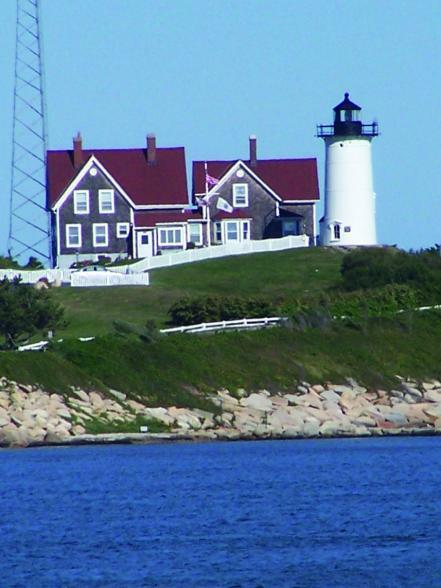 From here we'll explore Arcadia National Park which overlooks the dramatic Maine coast. Here you'll discover soaring granite cliffs side by side with cobblestone beaches and Glacier-carved mountains rising from the sea. This national park is a magical place to visit, even more so during the spectacular fall season. It's a full day of glorious fall foliage viewing amongst awesome scenery in this the oldest national park east of the mighty Mississippi River. We'll travel to the top of Cadillac Mountain, the highest point along the North seaboard and the first place to view the sunrise in the USA. From here you'll see incredible views of the glaciated coastal landscape. In the evening you'll enjoy a traditional Maine Lobster Bake Dinner. After breakfast we embark on a leisurely scenic drive along the rugged Maine coast to the pretty village of Salem, Massachusetts. 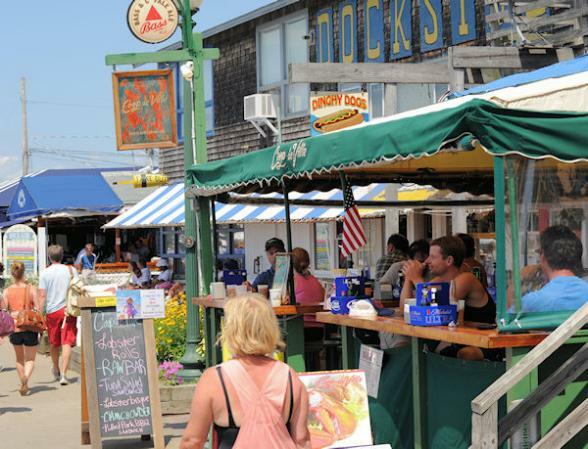 There will be time to stop on route at the Old Portland Market where you'll be able to purchase lunch and enjoy a spot of shopping before visiting the Portland Head Lighthouse at Cape Elizabeth. 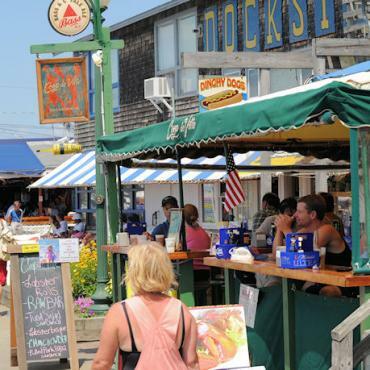 Known widely as the site of the Salem witchcraft trials of 1692, this colourful, coastal city has much to offer. A rich maritime heritage, an impressive display of historic architecture and fascinating museums telling stories that span almost four centuries. Sadly, the tour ends after breakfast today. 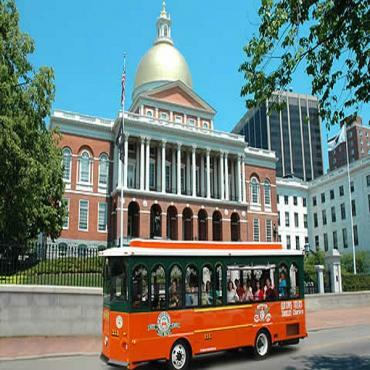 Transfers to Boston Airport are included for your flight home. However, your adventure doesn't have to end here. Perhaps you may want to extend your stay and include a visit to Philadelphia, the home of independence, or maybe head to New York city for some shopping and sightseeing. Call the USA travel experts at Bon Voyage to discuss your ideal Fall Colours of New England and Canada - Escorted Coach/Rail tour.